Through Planned Giving, donors can make a gift through their wills or through long-term financial plans including Charitable Remainder Trust (CRT), life insurance, and charitable gift annuities. Here you will find information about ways you can make a gift to Centenary College and enjoy valuable benefits such as lifetime income and tax savings. 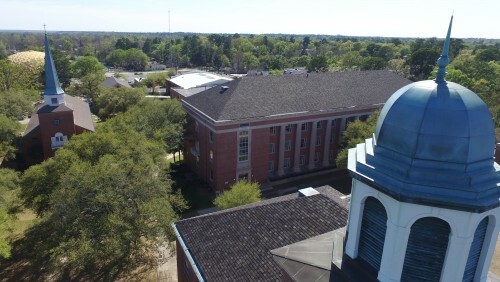 Your gift can be set up directly with Centenary College or through the United Methodist Foundation of Louisiana. We look forward to helping you achieve your goals.The College has benefited from many donors whose legacy gifts have funded scholarships, professorships, buildings, and improvements. "Having employed students as interns over the years, I know from personal experience that Centenary College helps graduates enter into the business world with both hearts and brains. Business needs these good people. We hope our McDaniel Financial Annual Scholarship encourages them." "Our legacy has its roots in the Centenary faculty of the 1930s. Their teaching ability and their principles — based on the Judeo-Christian ethic - were fantastic, and they embedded in me the desire to help others in any way that I can. By using my retirement to fund a trust for the College, I can provide that help in perpetuity to Centenary students and at the same time, provide income for life for Ann and tax-free life insurance policies for our children. This plan has also saved us a great deal in taxes - it's a win-win situation for everyone, especially the students." The Mission of the United Methodist Foundation of Louisiana is to be a catalyst that strengthens and preserves our current ministries while meeting the needs of a diverse and rapidly changing society. Centenary is an affiliation of the United Methodist Church. One of the most popular vehicles for making future gifts is the will. A charitable bequest can be stated as a dollar amount, a specific property, a percentage of the assets, or the residue of the estate after providing for your loved ones. A will can also be used to create trusts for wealth management, benefitting your family as well as the College. Example: Sarah devoted her life to the teaching profession, living a full but frugal life. Dedicated to her students and committed to seeing that others had the opportunity to contribute to the career that she had loved, she provided in her will that one-half of her cash estate be used to establish an endowed scholarship to support deserving students at Centenary College. Sarah never made more than a modest teaching salary but was able to make a significant gift. The scholarship, named in her parents' memory, was created with $200,000. A Charitable Remainder Trust (CRT) is an irrevocable trust funded with cash, marketable securities, real estate, or a combination of the above. Income is paid to you or another beneficiary you name for up to 20 years, or for one or more person's lifetimes. When the trust term ends, the remaining property becomes a gift to the College. Tax benefits include income, gift, and estate tax deductions. When using appreciated securities to establish the trust, the capital gain is generally not subject to tax. A Charitable Remainder Annuity Trust (CRAT) is an instrument in which donor income is fixed at a specific rate — for example, five percent per year. A Charitable Remainder Unitrust (CRUT) is an instrument in which donor income fluctuates annually as the value of the assets in the trust change. Tax-free income is also possible. Example: William, a widower and father of one daughter, Anne, has an estate worth $1 million. To avoid unified gift and federal and state estate taxes, which would reduce Anne's inheritance, William establishes a $400,000 charitable remainder trust with Centenary named as the beneficiary, thus reducing his estate to $600,000. With part of the income generated by the charitable remainder trust, William creates a life insurance trust for $400,000, all of which will be transferred to Anne, tax-free, at William's death. 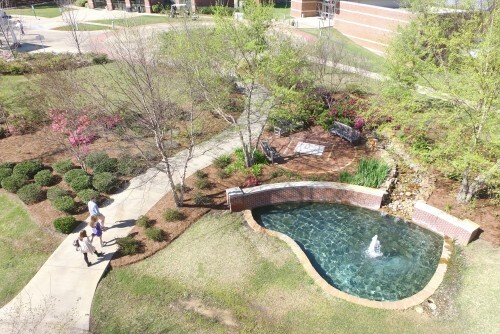 Using funds from a qualified retirement plan to make a gift to Centenary could be one of the best ways both to make a significant gift and to save on taxes, which could be as high as 75 percent. With a retirement fund, you can designate a specific amount or a percentage of the fund for the College. It is also possible to establish a charitable remainder trust with loved ones receiving the income for a specific period, and the remainder of the funds eventually benefiting the College. EXAMPLE: Helen, age 63, has stocks valued a $300,000 in her company's 401 (k) plan for which she paid $100, 000. She would like to set these funds aside and optimize earnings for her retirement years. She would also like to make a major gift to Centenary for a major capital project. After visiting with members of the development division, Helen learns that she can place the stocks in a charitable remainder trust, enjoy the income during her lifetime, and make the gift to Centenary, too. And, if she desires, she can make additional contributions to the trust. There are several ways to make a gift of life insurance to the College. If you own a policy which you no longer need, you may name Centenary as a primary beneficiary, secondary beneficiary, final beneficiary or remainder beneficiary to receive all or part of the proceeds. You can assign annual dividends to the College. You can give a paid-up policy you already own by changing the owner and beneficiary. You can give a policy on which you are still paying premiums. You can obtain a new policy for the College. You can buy a policy benefiting your heirs which would replace a gift from your estate to the College. You can purchase a life insurance policy on the life of another person if you are uninsurable. Example: Andrew, age 50, qualifies for the purchase of new life insurance. He buys a $50,000 policy naming Centenary as the owner and beneficiary. He deducts the annual premium on his federal tax return as a charitable gift and knows that one day the proceeds from his policy will be used according to his wishes to support Centenary College. With a life estate agreement, a donor transfers the title of a residence, vacation property, or farm to Centenary College, while retaining the right to live there and use the property for life. The donor benefits from a tax deduction at the time the gift is made as well as benefiting from a possible reduction of estate taxes and avoidance of capital gains taxes. Example: James, 75, and Helen, 70, purchased a vacation home 20 years ago for $75,000. Its current market value is $300,000. James and Helen's only child owns her own vacation home and has encouraged her parents to donate the property to Centenary, their alma mater, to establish an endowment. In the year of the gift, the donors receive an income deduction of approximately $82,000 based on their ages and the value of the property. They completely avoid the tax on the capital gain of $225,000 which they would have realized if they had sold the home. 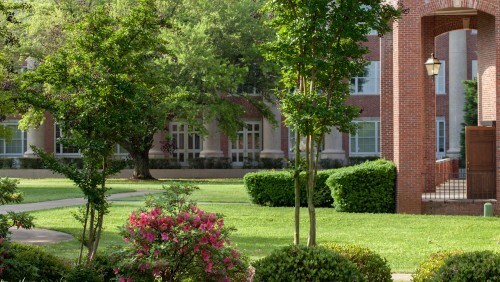 They retain the right to use the property as long as they live, and they make a fine gift to Centenary College. Charitable gift annuities are used by donors to transfer cash or marketable securities to the College and receive fixed payments for life for themselves and/or another loved one. Example: Virginia, age 80 and very active, wants to contribute to the Centenary Fund for Student Scholarships, but wants to use the income from a portion of her assets for her favorite hobby — traveling. After talking with members of the development division at the College, Virginia realizes that she can transfer $35,000 to the College for a gift annuity and receive $3,220 per year (9.2%), part of which is tax-free income. She will also benefit from a $16,527 tax deduction now. At Virginia's death, her $35,000 annuity becomes a gift to the College's endowment. When you make a donation to a pooled income fund, your irrevocable gift of cash or securities is invested with gifts of other fund donors much like a mutual fund. Your proportional share of the income, which varies with the fund's earnings, is distributed quarterly to one or more income beneficiaries named by the donor. When the last income beneficiary of your gift dies, the principal attributable to your gift is removed from the fund and given to Centenary to be used for the purpose you designate.